When you’re looking for reliable auto body repair service, Double R Collision in Page is your best bet. I-Car certification is the most up-to-date training and qualification available to restore not only your vehicle’s appearance, but structural integrity as well. 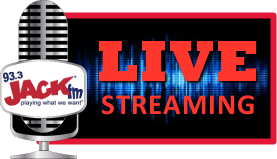 The families of Robert and Brenda Workman; and Robert and Esmerelda Guilierrez will make sure you get the highest quality of work possible. When you take your vehicle to Double R Collision, you can rest assured that the job will be done right. 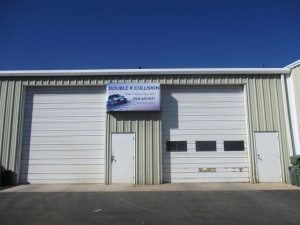 Despite its name, Double R Collision does so much more than collision repair work. Of course they offer structural and body repair, pro spot welding for factory welds, RV repairs, and boat repairs, but they also offer alignment services, glass repair / replacement, interior and exterior detailing, and custom body part installation. On top of that, they have a top-of-the-line paint shop with a complete downdraft booth. This is the newest method of painting vehicles and the most efficient at keeping contaminants clear. They have a 7-stage compressed air filtration system which guarantees the best finish. 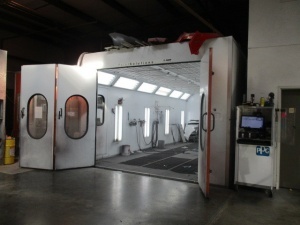 And the paint shop booth is equipped with forced heat baked cycle for best finish and shine, which all means their paint work is guaranteed for 10 years! After a collision, if your vehicle isn’t repaired properly, the safety and performance of your vehicle can suffer. 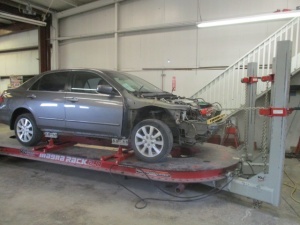 At Double R Collision, they make sure to repair each vehicle to factory specifications. Their profession frame alignment system allows them to do that – it is capable of multiple pulls, which helps the certified technicians restore the integrity of your vehicle’s frame to manufacturer’s specifications. They also have the equipment and ability to find hidden damage that others may miss, and will return your vehicle as good as new! Whether you need a post-collision repair you can trust, a top-notch paint job that will last for years to come, or any other auto, RV, or boat work, Double R Collision will get you taken care of. Keep them in mind next time you need anything for your vehicle!